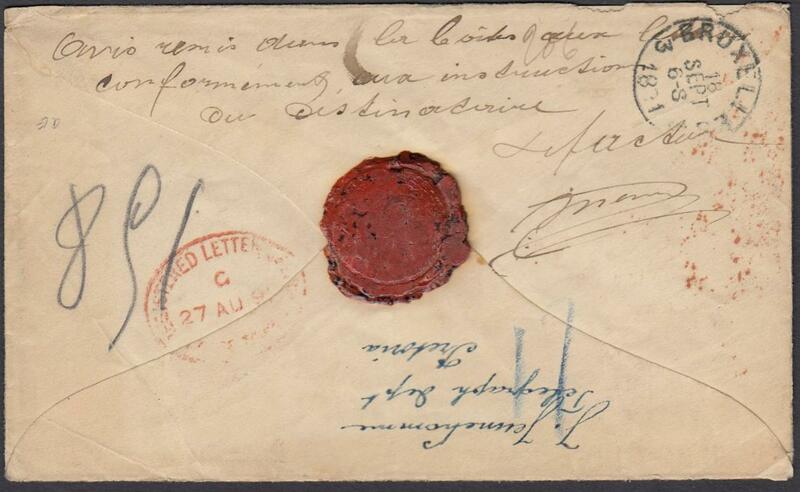 1890 1d. 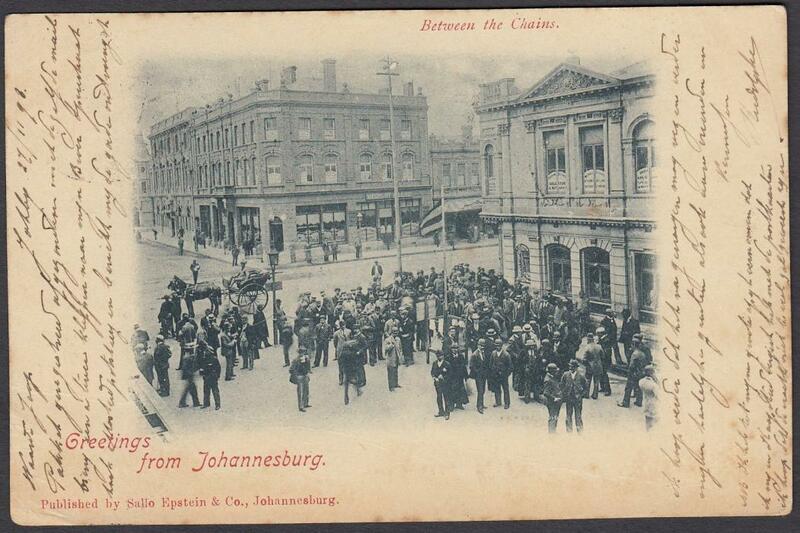 card with image entitled 'The Late Crisis in Johannesburg/Scene in Simmonds Street used to the Netherlands. 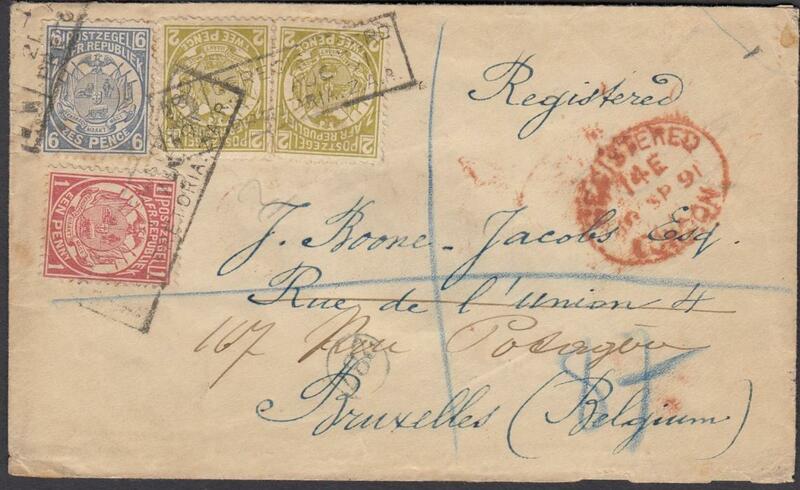 1890 1d. 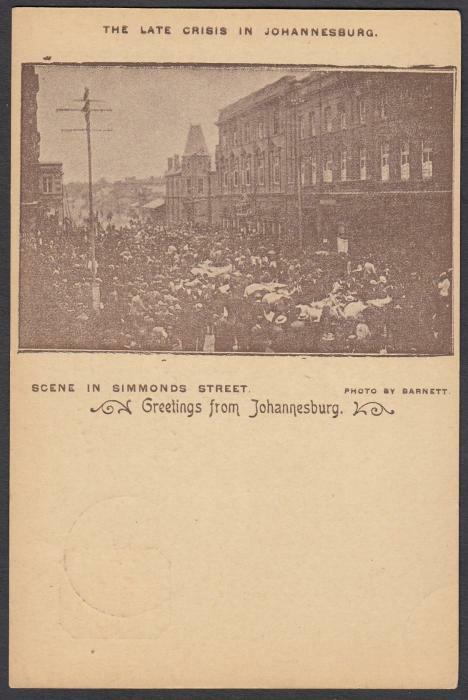 card with image entitled 'The Late Crisis in Johannesburg/Scene in Simmonds Street'; fine c.t.o. 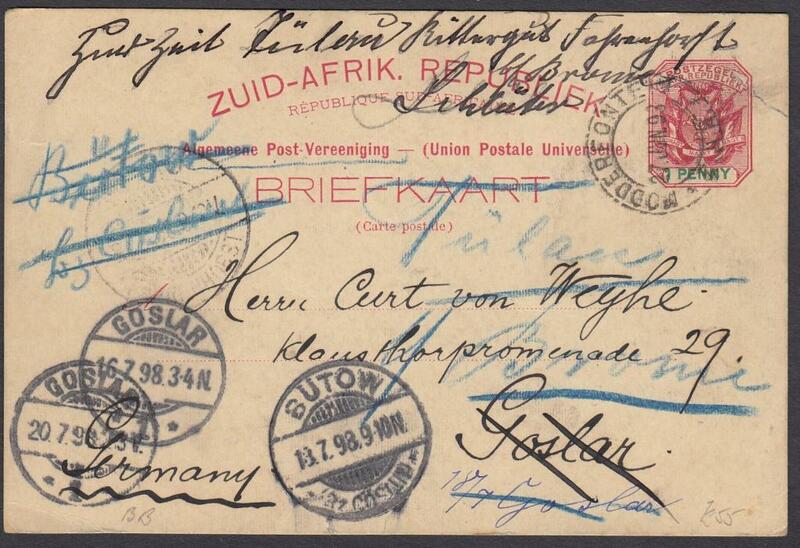 1890s 1d. 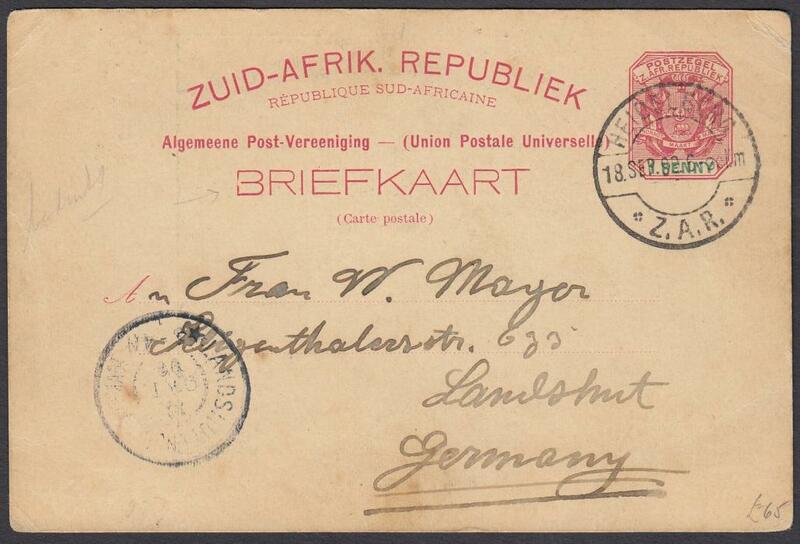 card entitled 'Greetings from Pretoria' - The Post Office; fine unused in single colour. 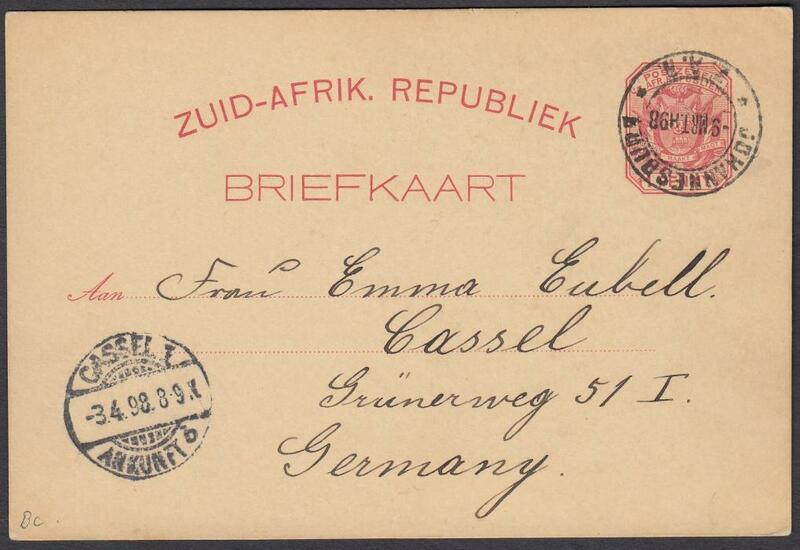 1890s 1d. 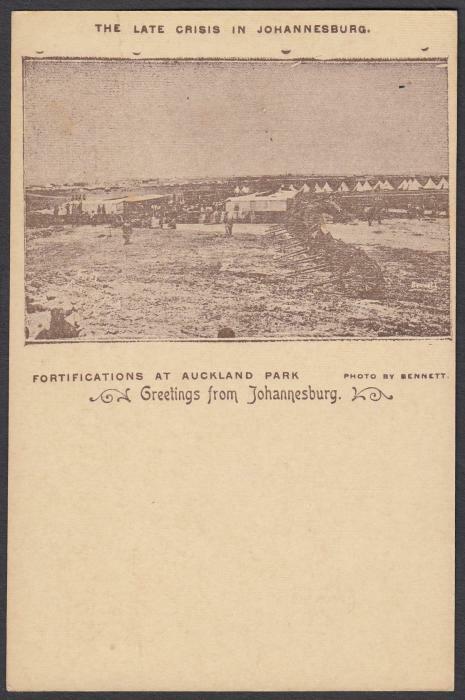 card with image entitled 'The Late Crisis in Johannesburg/Fortifications at Auckland Park', used to Germany. 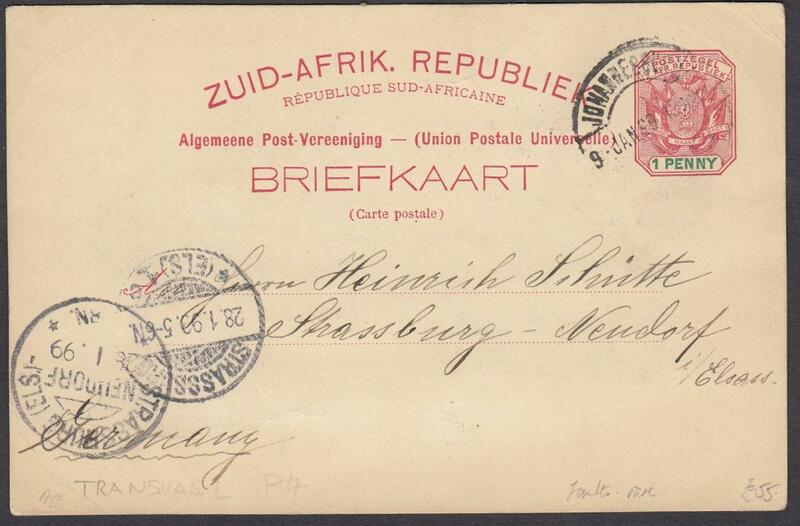 1890s 1d. 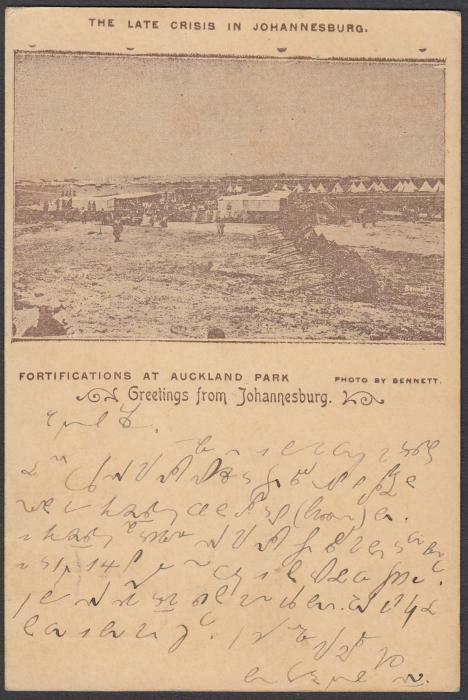 card with image entitled 'The Late Crisis in Johannesburg/Fortifications at Auckland Park'; fine unused. 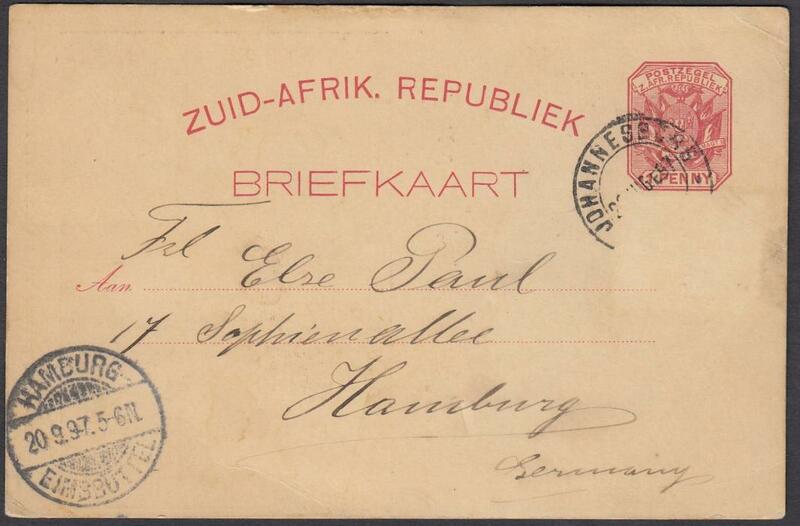 1890s 1d. 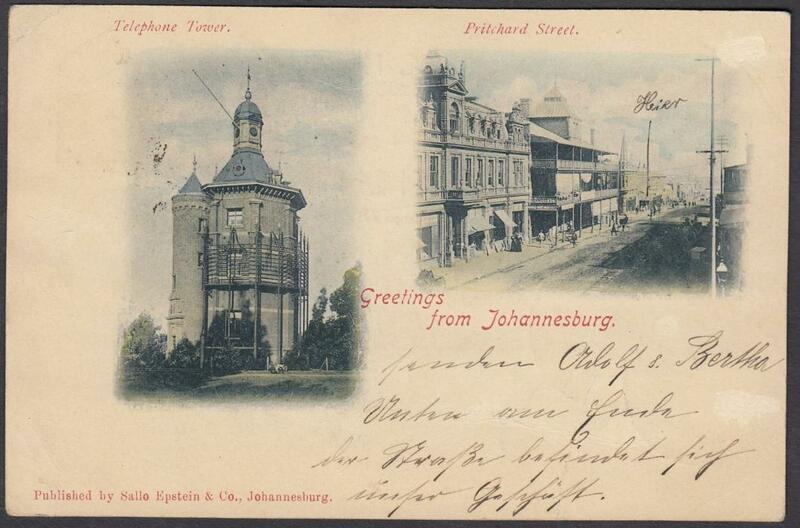 double view stationery card 'Greetings From Johannesburg' - Telephone Tower & Pritchard Street; good used. 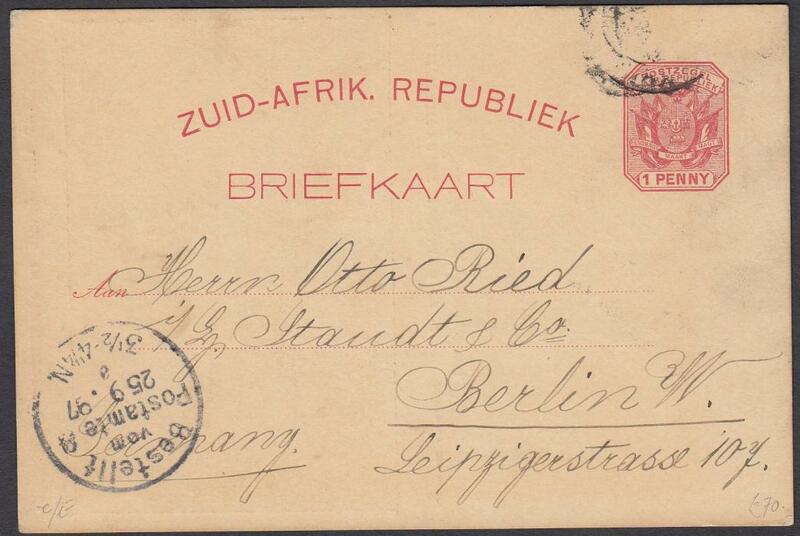 1890s 1d. 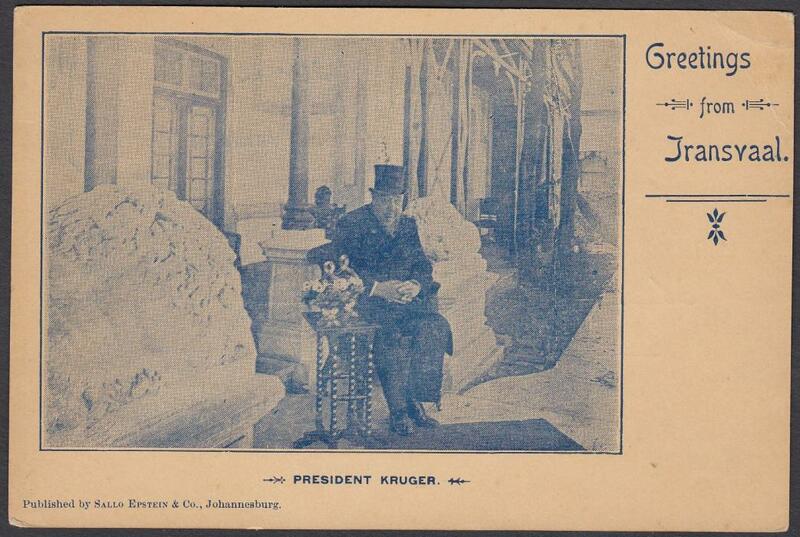 picture stationery card with blue image of President Kruger; good unused. 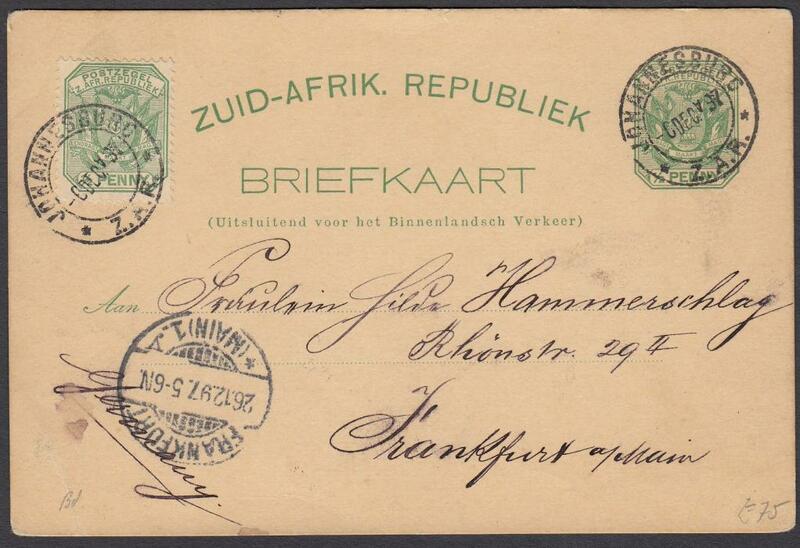 1890s 1d. 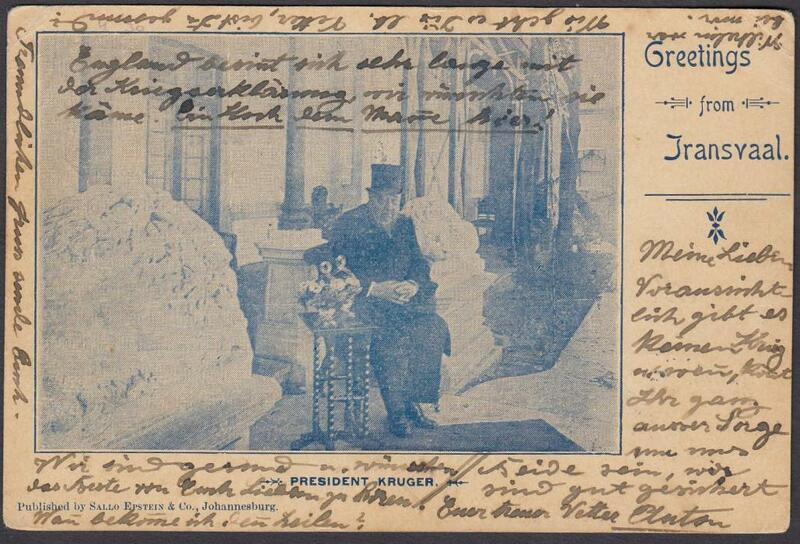 picture stationery card with blue image of President Kruger; used to Germany. 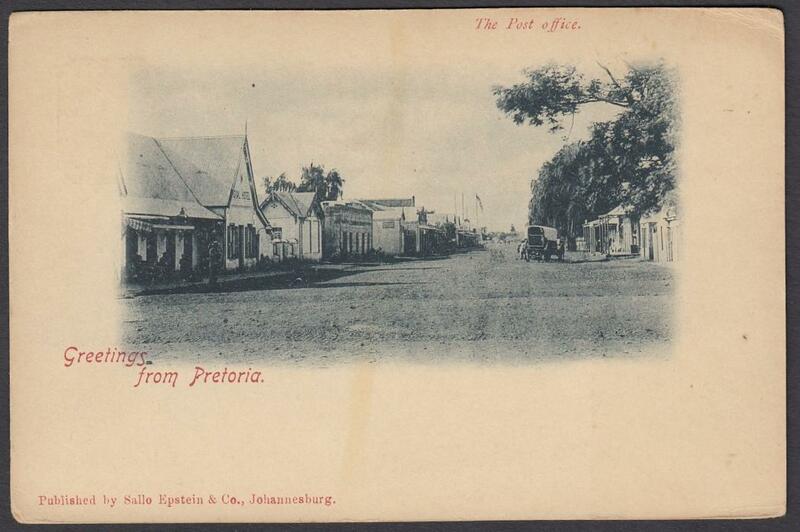 1890s 1d. 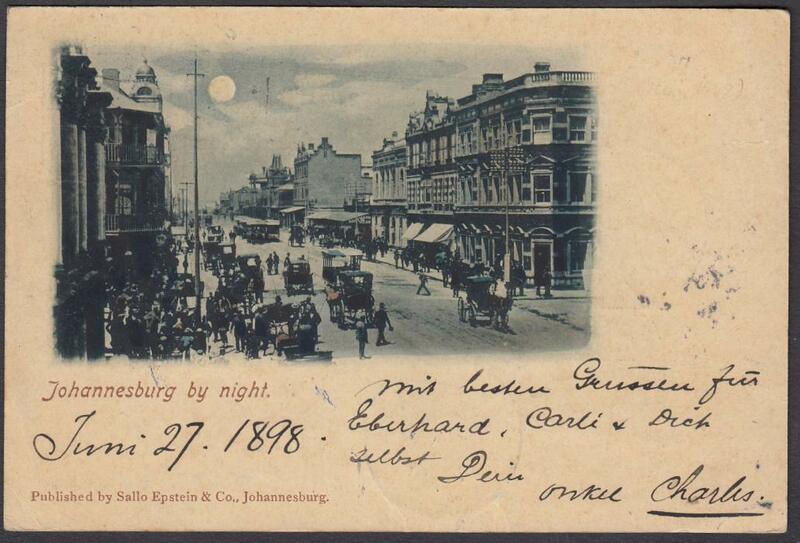 stationery card entitled 'Johannesburg by Night'; good used to Germany. 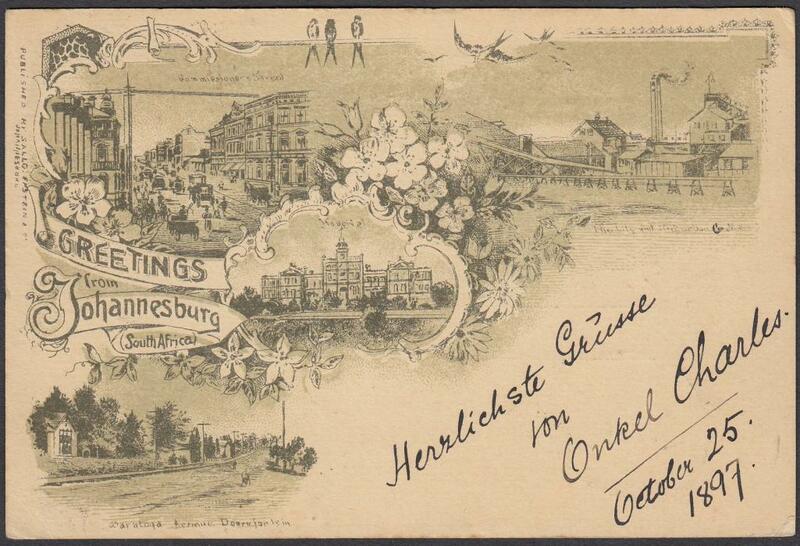 1890s �d. 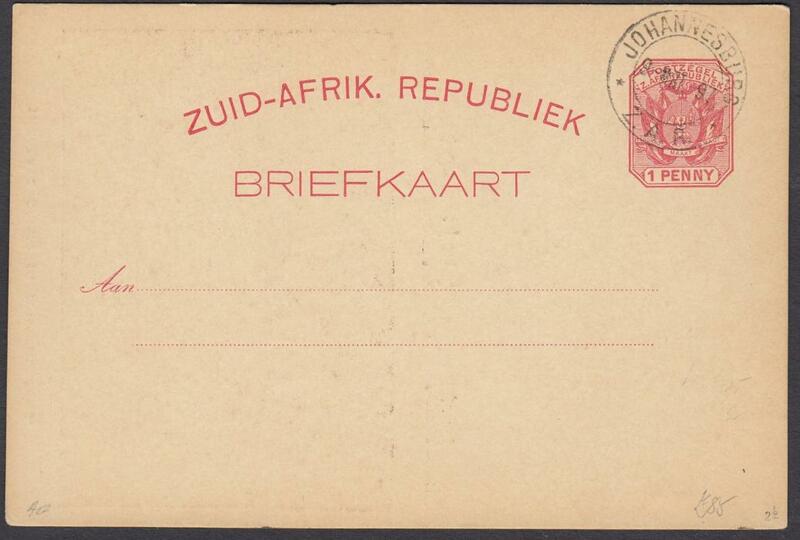 car with small picture entitled 'Groet Uit Zuid-Afrika'; unused. 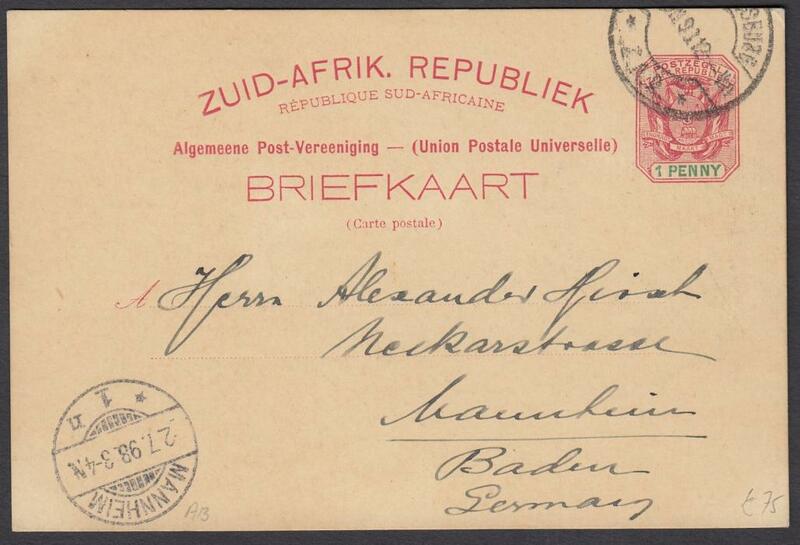 1891 registered cover to Belgium, franked with 1d, 2d (pair) and 6d tied with framed 'PRETORIA' registered handstamps, reverse with Cape Town registered transit date stamp and BRUSSELS arrival, re-addressed upon arrival with postman's manuscript explanation on the reverse. 1897 1d. 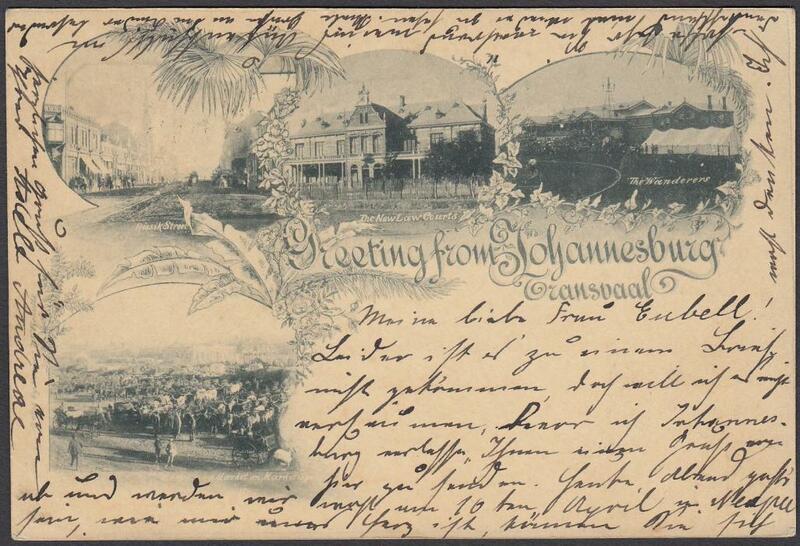 card entitled 'Greetings from Johannesburg' with four views; good used to Germany. 1897 1d. 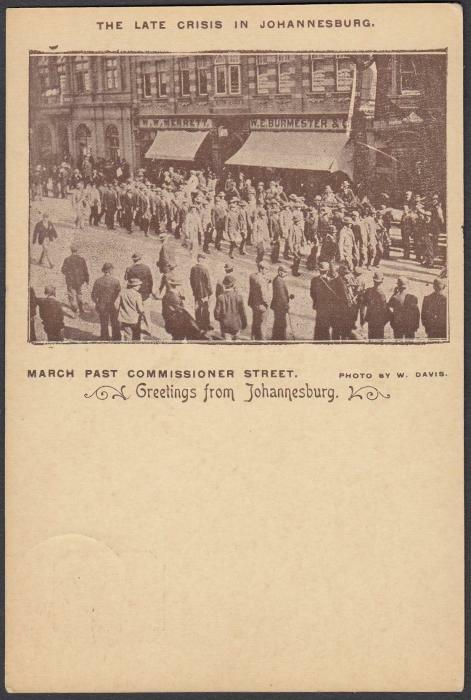 picture stationery card with image entitled 'The Late Crisis in Johannesburg/March Past Commissioner Street' cancelled to order; fine condition. 1897 1d. 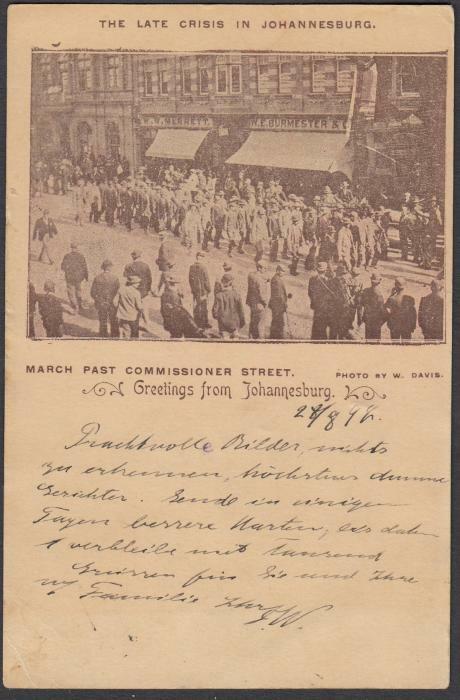 picture stationery card with image entitled 'The Late Crisis in Johannesburg/March Past Commissioner Street' used to Hamburg, the additional franking now removed. 1897 1d. 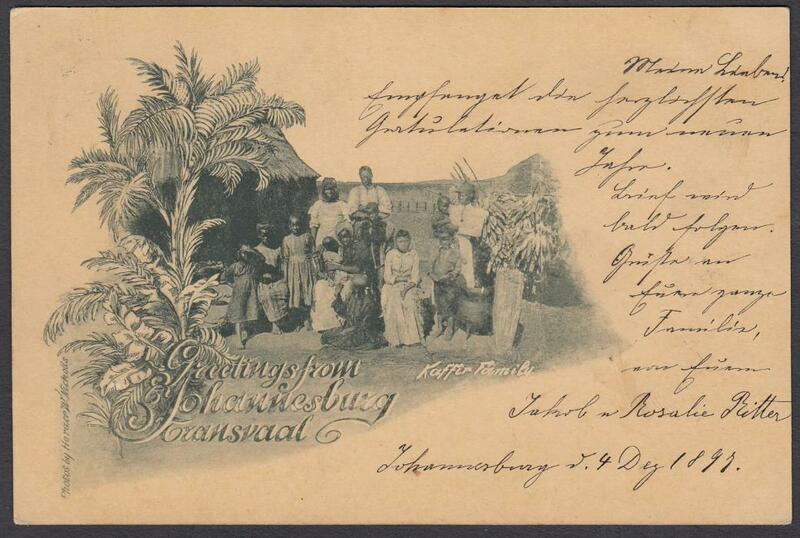 stationery card 'Greetings from Johannesburg' showing local family before dwelling; fine used to Switzerland. 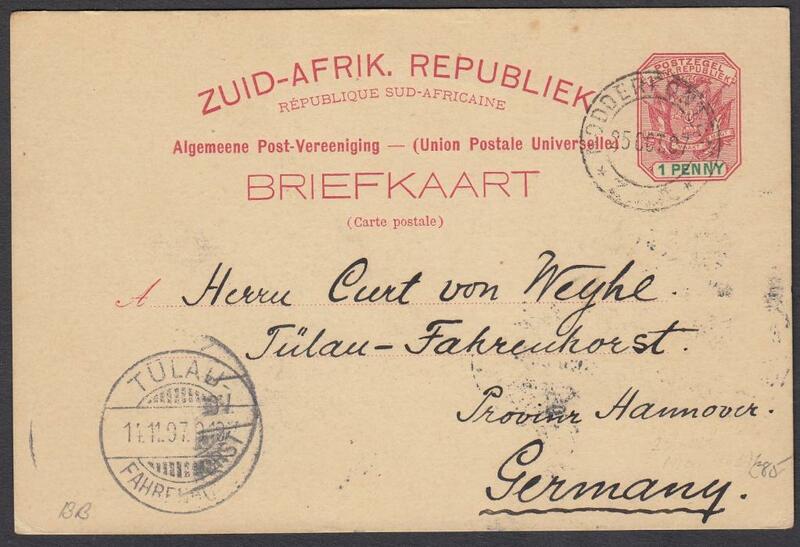 1897 �d. 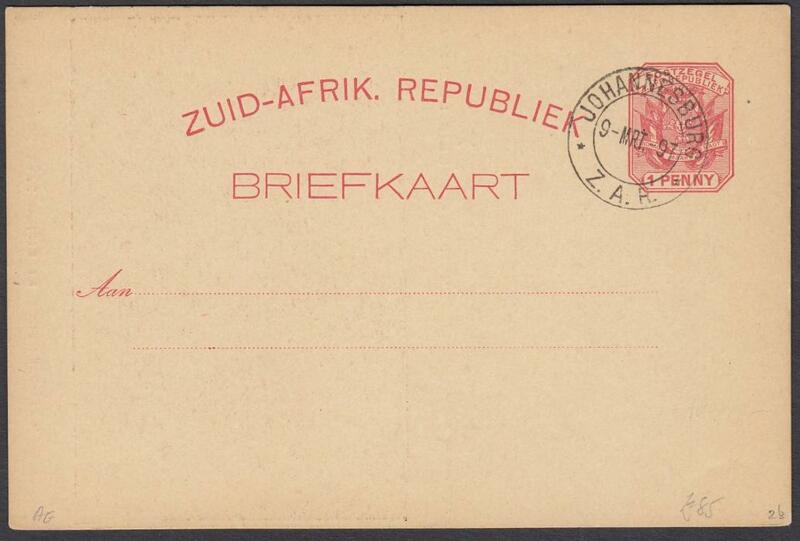 stationery card up-rated �d. 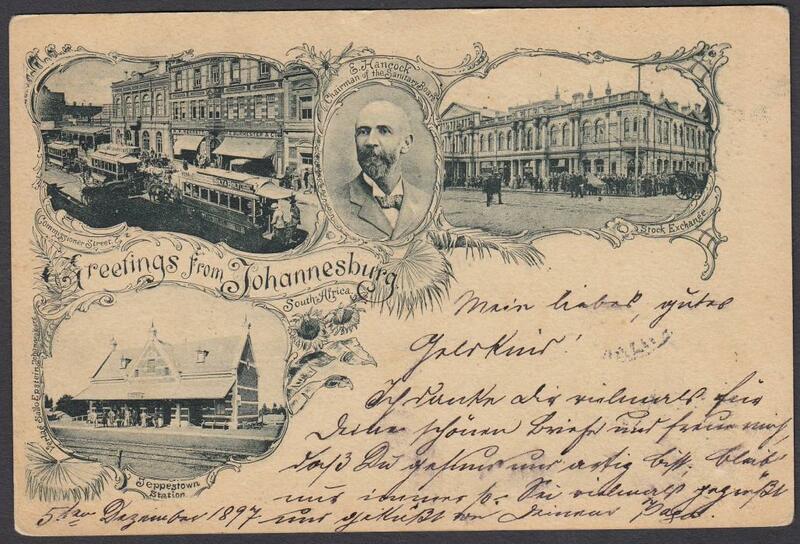 entitled 'Greetings from Johannesburg' with three images including Railway Station and Trains; used to Germany. 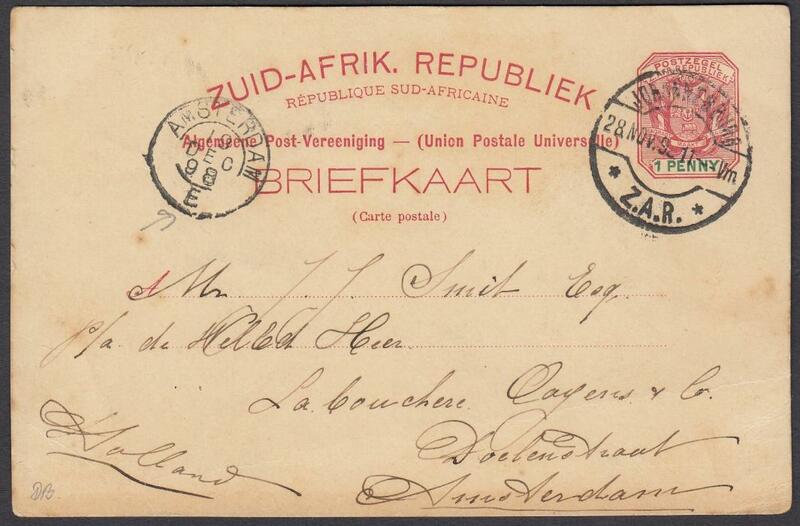 1898 1d. 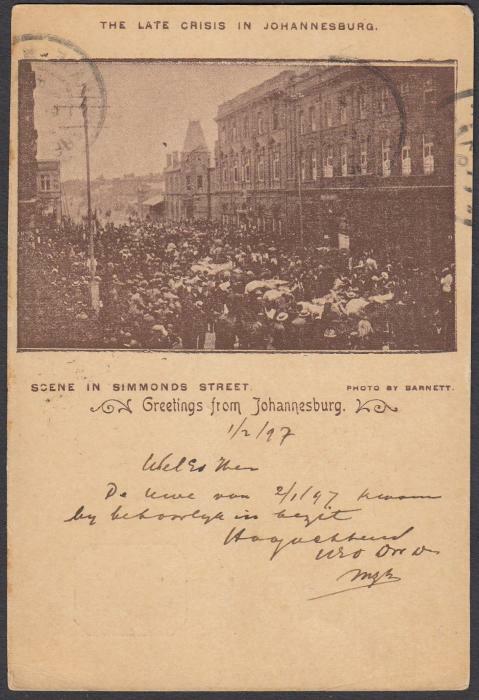 stationery card 'Greeting from Johannesburg' with four images - Cattle Market, Street Scene, Law Courts and Wanderers Stadium (Cricket Ground); good used to Germany. 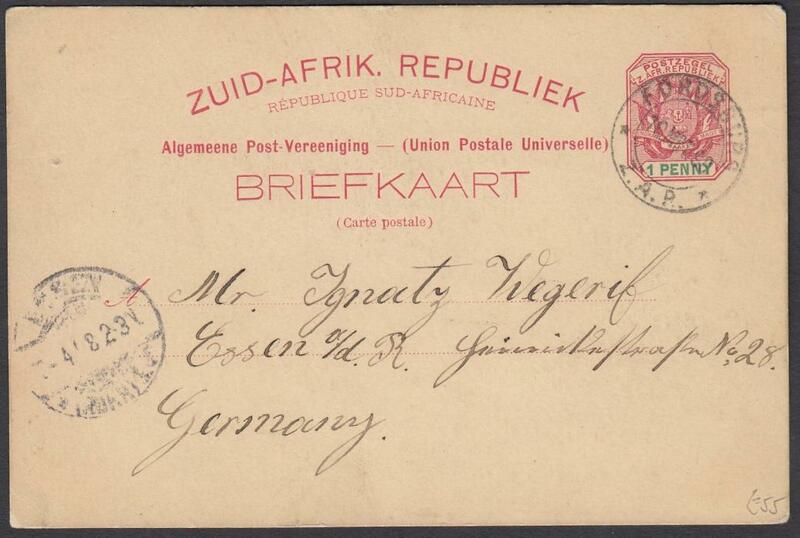 1898 1d. 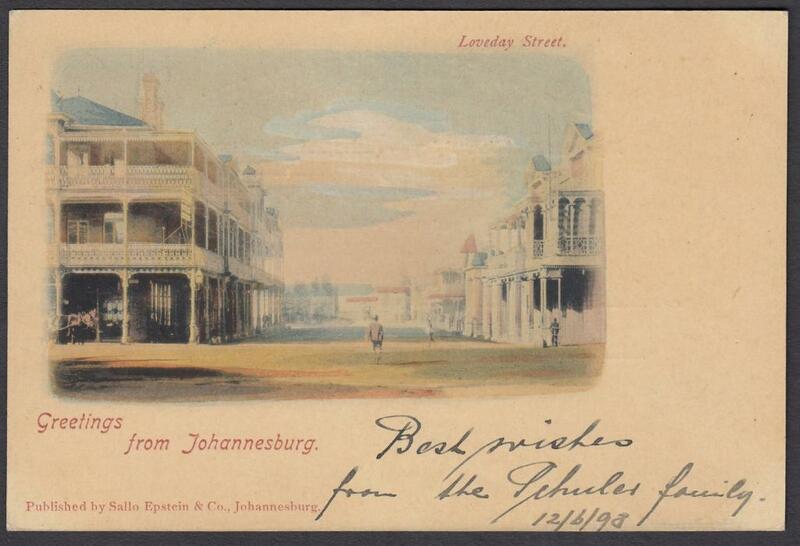 stationery card entitled 'Greetings from Johannesburg' - Loveday Street; fine multi-coloured card used to Germany. 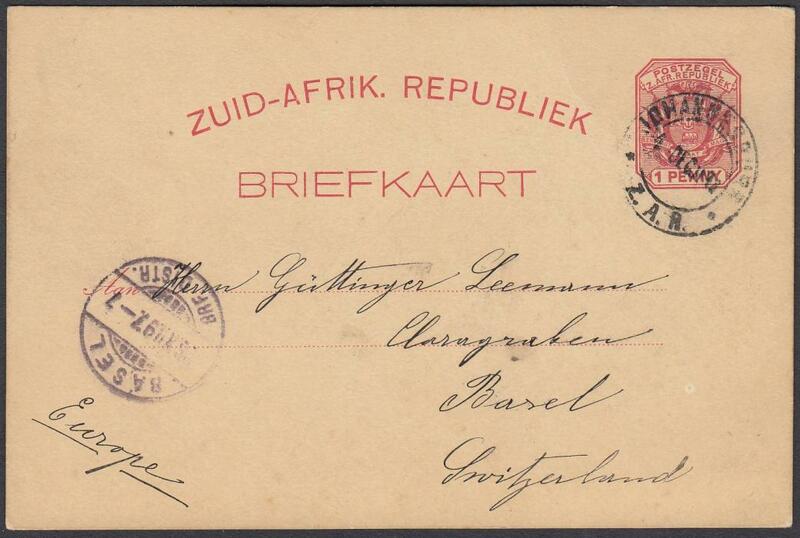 1898 1d. 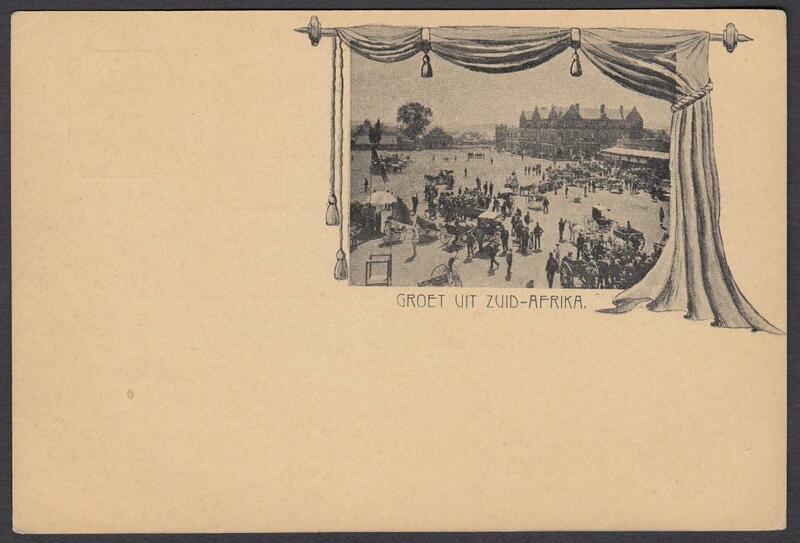 stationery card entitled 'Greetings from Johannesburg' showing a crowd scene, used to Amsterdam; some slight toning. 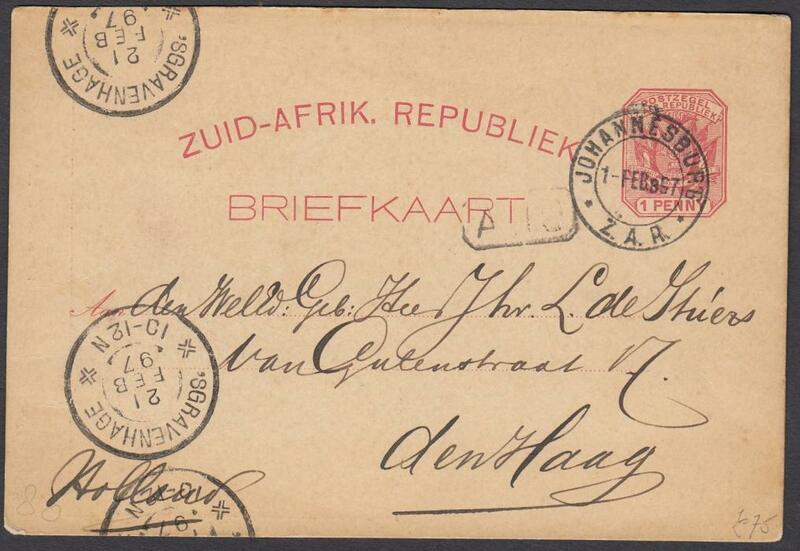 1898 1d. 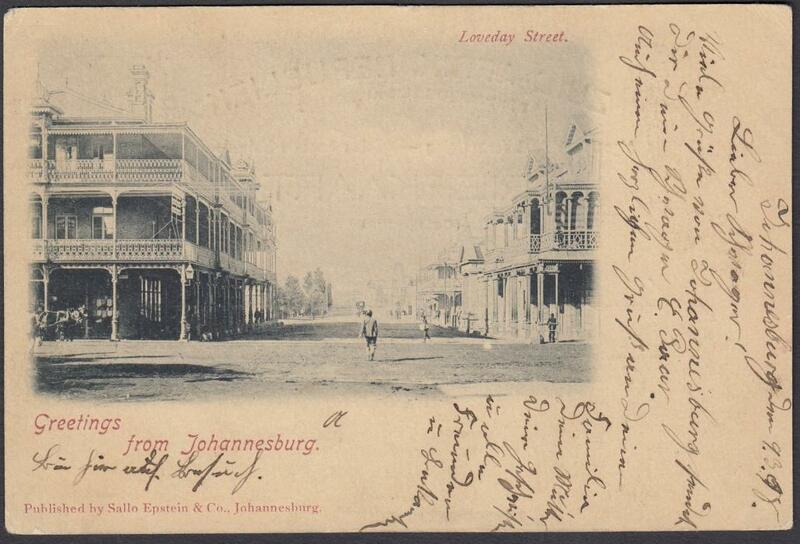 stationery card entitled 'Greetings From Johannesburg- - Loveday Street; used single colour card.